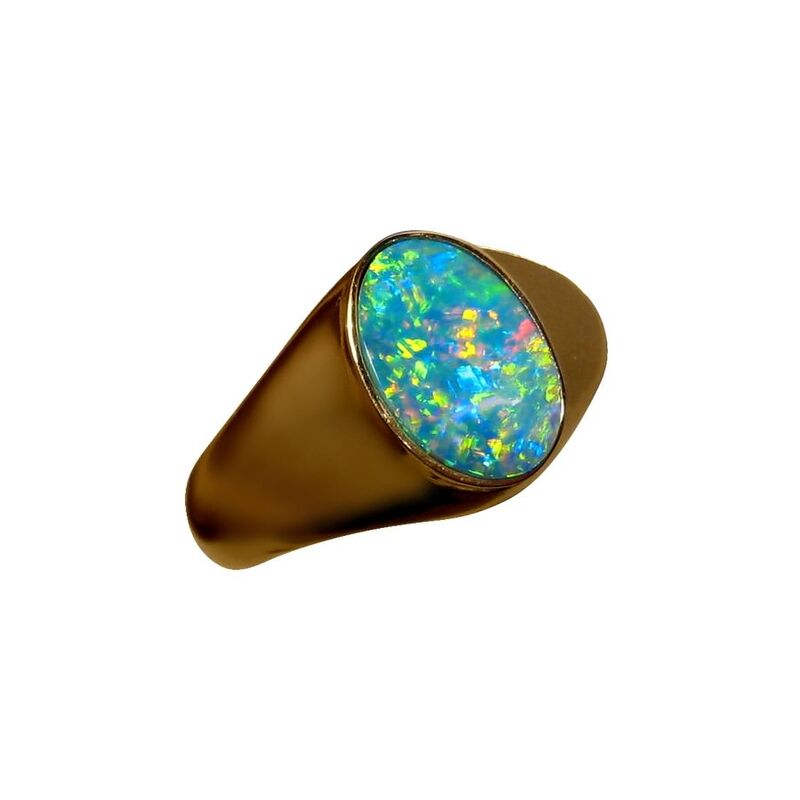 This Opal ring for men is simple yet stylish with a wide band of 14k Gold inlaid with an oval Opal from Lightning Ridge. 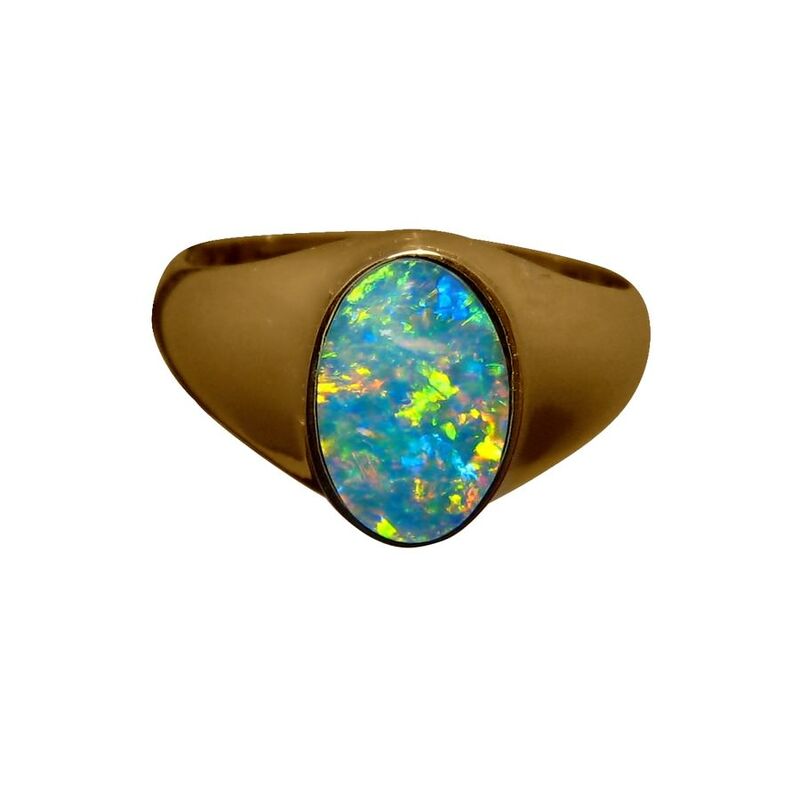 The Opal flashes a beautiful mix of colors and is shown in a 14k Yellow Gold ring which is almost half an inch across and weighs almost 7 grams. 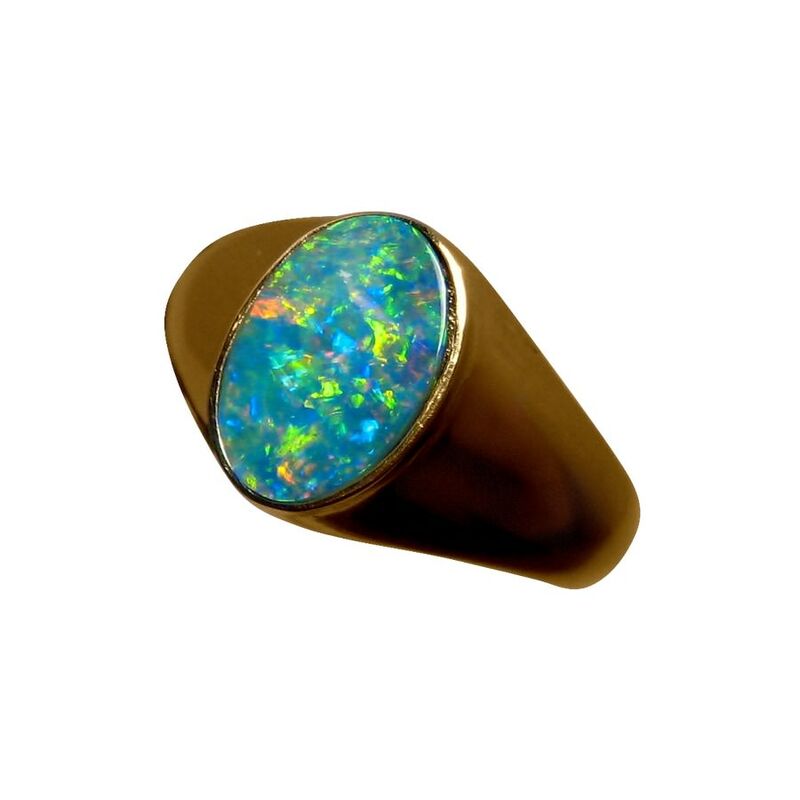 The ring is finished with a high polish and the video below will show this as well as the play of color in the Opal. 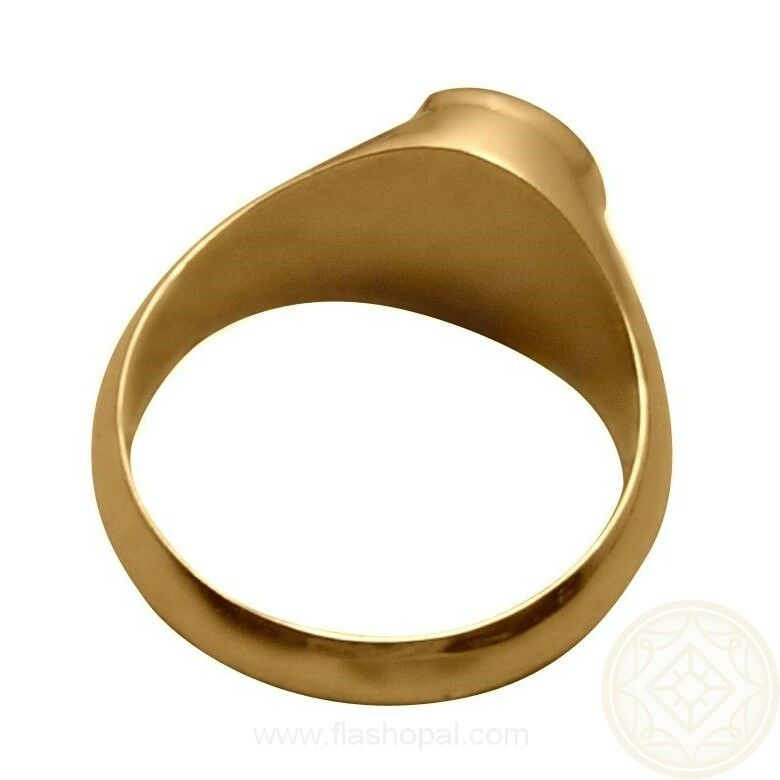 This is a quality ring for men that is ready to ship as detailed below or can be made in any ring size and Gold color which will take about 7 days to make before this exact Opal is set.